Austria’s SkiWelt region has announced two major lift construction projects ahead of the 2019-20 ski season which will see two of the world’s fastest, most comfortable and high-capacity yet lifts installed at the huge ski area. The two lifts are a combination gondola/chairlift, which 10 seat gondola cabins and eight-seat heated chairs above Brixen, and a new eight seater high speed chairlift at Westendorf. Both lifts will be much faster than their predecessors, travelling at six meters per second. Both will have heated seats, weather protection hood and manufacturer Doppelmayr’s latest smooth ride technology. The new Zinsberg lift, the chairlift/gondola combo, replaces what was the world’s first chairlift to be installed with pull down weather protection hoods back in 1987. The old lift had carried 25 million passengers. 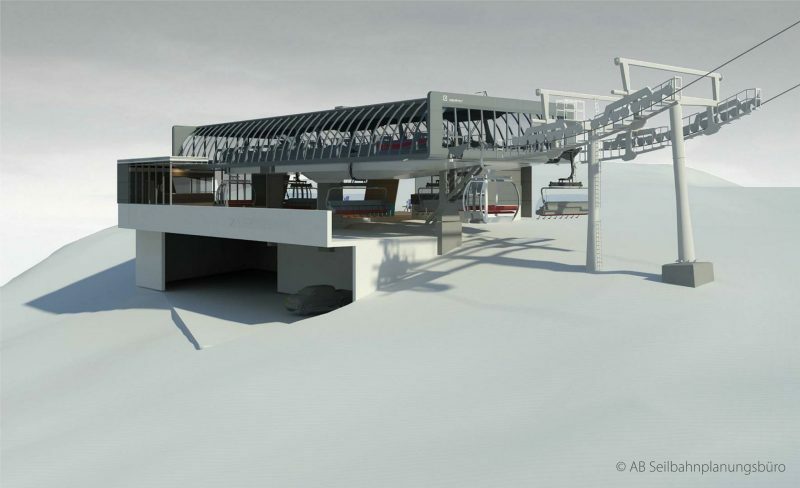 The new 15.5m lift will take skiers 400 metres further up the mountain than the old one and be able to carry many more passengers – 3,400 people per hour in winter. It will also incorporate photovoltaic cells to generate green electricity to help power it. The new eight-seat Fleidingbahn chairlift at Westendorf replaces an old triple chair that had made 25,000 operating hours and made 12 million journeys. The lift will climb to the SkiWelt’s highest viewing point at 1892m. Old chairs are to be sold off for €250 each after the lift’s final run on 31st March. Both lifts have €15.5m price tags and both will be ready for next winter with construction work commencing next month.